With a lot of bad press about certain breeds of dogs and how they behave, I feel it is important I share some information with you to hopefully help you build a healthy relationship with the dog. I am going to cover a few subjects relating to dogs and relationships to give you some insight and positive encouragement in your relationship with your dog. Who is the boss- is it you or your dog? Whether you own one dog or a few, you are the boss. Remember dogs come from a litter of more than one and they will, if they are allowed, try to take the Alpha position with you as their owner, which, when building a healthy relationship is not at all ideal. When you bring your new friend home, you will now be his/her, Mother/Father. The leader, the teacher and your new friend will love you for it. Gentle coaching, patience, treats when a lesson is being learned are all part of building a healthy relationship with your dog. If you adopt a dog, from a shelter or the SPCA or similar, who is fully grown, he/she may some habits that are not so good so you will need to do the same as with a new pup. Gentle teaching with lots of encouragement and praise. Dogs and relationships take time and doing the right training, giving lots of love, having boundaries, sharing fun times, keeping them healthy, having lots of play time with appropriate toys, going for walks, going in the car on outings, socializing them with other dogs will all be beneficial in your relationship building and will lead to a bond stronger than any other bond you know of. The old saying “Mans best friend” is so true! People behave badly so dogs behave badly. Simple as that. Pretty much the same as people behave badly, children learn to behave badly. If you are loud and aggressive with your dog, you are teaching them here OK. If you are bad-tempered towards your dog, you are teaching them how to be aggressive. Going to a dog/puppy training school is a great idea. Here you will learn from professionals giving you the skills to train with love and patience, which in turn will create a wonderful, safe, loving relationship with your dog. The stories we have read in the news, seen on the web, TV and in newspapers about savage dogs and what they do makes me sad because if those dogs had been raised with love, patience and gentleness perhaps they would not have turned out to be angry and aggressive. Just saying. I have met a lot of breeds that are categorized as dangerous and these dogs I have met are beautiful animals. They are kind, amazing with children and adults. They are playful and funny. I have observed their home life and every one of these so-called” bad breeds” are wonderful pets which makes me come back to, it is how you treat your dog from the get-go that will create a relationship that is amazing between you and your dog. Socializing your Dog- Why is this important to your relationship? As with humans, socializing is important and so it is with dogs. 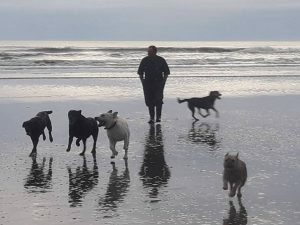 If you only have 1 dog it is important your dog learn social skills, mixing with other dogs as well as humans will help with your relationship with your dog and most of all will help your dog. Taking your dog out for walks with other dogs is fun and good for both of you. Having play dates with other dogs at your place and also going to other places with your dog to have play dates is a great way for your dog to learn how to play kindly with other dogs and your dog will be happy and tired from all the fun. There are Doggy Daycares everywhere and I’m sure there will be some close to where you live. These places are gold for your dog as there are often all kinds of dogs in Day Care and this is a place your Dog will enjoy and once again learn more social skills. Most of them are a reasonable cost and I guarantee you will get your money’s worth by taking your Doggy along to one of them. 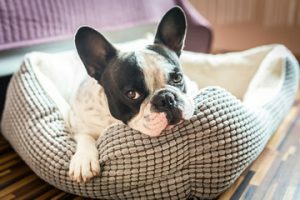 If you work and have to leave your dog home alone for lengthy periods, they can become depressed, mischievous and do things that are not something you want to come home to. I’m not saying this happens with every dog, however, through experience and talking to a lot of people, I have heard stories that I know you as a dog owner do not want to experience. The same people I have talked with chose Doggy Day Care and they have told me they have a different dog now. A truly happy, well-adjusted, well-behaved socially amazing dog. Worth considering. If everything you do with your dog is done with love, you will build a wonderful long happy relationship for many years to come. Things may not always run smoothly. There will be hiccups along the way, times when your doggy will make mistakes and this is totally normal. No-one and no dog is perfect. pits and rotties have always been overly affectionate and friendly when i’ve encountered them! and research has shown that the breed thats most likely to have an aggressive temperament are actually dachshunds! positive re-enforcement is the best way to train a dog, I can’t stand people who use shock collars and violence!! Such a great Article. 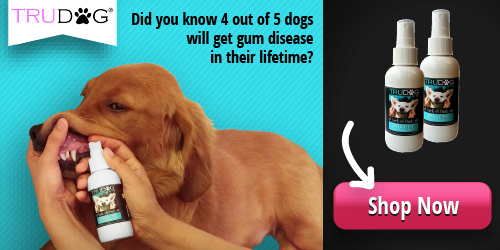 Theres a lot of things here that didnt know about dogs, especially about their behaviour. I have 1 pet and he’s my baby. He is getting old now, but i absolutely adore him. Thank you for all this info. So interesting.